Have you ever played Fruit Ninja? Then you will like this adaptation of it. 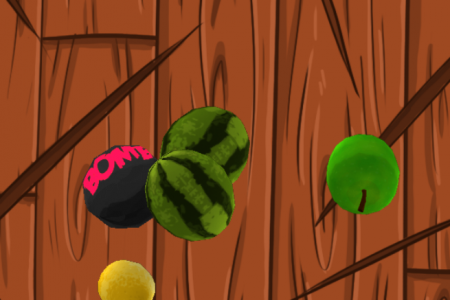 Fruit Blaster is almolst the same game but there is a different. To play it you don't need to download and intall it. You only have to open it in your browser. And now it's time to tell about the game itlelf. Slice the fruit as soon as you can, but do not forget to avoid fruit blaster. And remember: The more combo you get, the more points you will. Play Fruit Blaster online for free in your browser and enjoy! Use a mouse to slice fruit.